Do I have to sue the other party after a wreck? You have a NOT to sue!! Wait...did they really say that? You have the right not to sue in your personal injury case. And more often than not, it’s best you only take your case to court when you absolutely have to because the other side or their insurance company is refusing to pay. This is true even if you were seriously injured and not at fault. Why? First of all, going to court is no guarantee of maximizing what you receive. And in many circumstances, going to court may actually reduce the total reward you receive because costs are increased. Secondly, taking your case to trial will involve a lot of stress and time lost, and may even result in additional legal fees to prepare and represent your case that exceed any additional reward you receive. So we always make sure to advise you on the full cost of going to trial vs. settling before deciding to go to court. And lastly, some personal injury attorneys simply love to go to court to be in the limelight, garner press for their firm, or worse, simply to satisfy their egos. But that strategy can put your reward at risk entirely! We always advise clients to settle and move on with their life whenever fair compensation is being offered. Of course, should liable parties refuse to pay fair damages, we’re ready to go to trial to defend your just compensation. But in the vast majority of cases, this simply isn’t necessary. If you have questions, please don't hesitate to let us know. Call us at 985-240-9773. Pain and suffering is an element of damages that an injured person seeks from the person causing the injury. Pain and suffering is usually not available in breach of contract cases, disability cases, or property insurance cases. You know all too well that pain and suffering is part of the aftermath of an injury. Legally, though, "pain and suffering" describes the physical pain and emotional distress a victim endures as a result of a personal injury accident. Emotional distress (also called "mental anguish") can include depression, anxiety, insomnia, irritability, and more. Compensation for pain and suffering is more than money for physical ailments—it also entails mental and emotional pain. It is also above and beyond you actual money damages (like your lost wages, medical bills, etc.). What Kinds of Things Does "Pain and Suffering" Include? When we say "pain and suffering," we're talking about a variety of ways that an accident can affect your life. Pain and suffering is a type of non-economic loss. Non-economic losses are intangible— and not clearly enumerated. Past and Future Pain and Suffering – This includes any past and future physical pain, mental anguish, discomfort, inconvenience, and stress. Embarrassment and Humiliation – This covers anything caused by the accident that could leave the victim feeling ashamed of their injuries, such as burns, paralysis, and amputation. Loss of Enjoyment of Life – This compensation is for victims who have lost enjoyment of the pleasures of life due to the accident. Disfigurement – This represents any scars or permanent damage caused by an accident or the surgery necessary to treat the car accident injuries. Loss of Consortium— The spouse of an injured victim can receive money for what is known as Loss of Consortium, which means that they've lost companionship and the ability to be close to their husband or wife. How is Compensation for Pain and Suffering Calculated? It's difficult to calculate how much a pain and suffering claim could potentially be worth because no two accidents or injuries are the same—and they can affect each person differently. The amount of money a person is able to recover for pain and suffering is most dependent on the evidence presented during your case, like testimony from medical experts, copies of medical bills, etc. And how your injury affects your life—including how it has impacted your ability to socialize, enjoy hobbies, and complete household chores and other everyday activities. At the end of the day, if you are like most people, there's nothing you wouldn't give to have your old, pre-injury life back again. Unfortunately, we cannot unwind the clock. Compensation for pain and suffering, however, attempts to make up for the many hardships you have to endure. This is something we consider in every case and in advising you on an acceptable settlement or demand amount, both before and during litigation. We hope this helps you understand how these damages are considered in your case. If you have questions, please give us a call at 985-240-9773.
Who should pay my medical bills after I'm injured in a wreck? My health insurance or their car insurance? 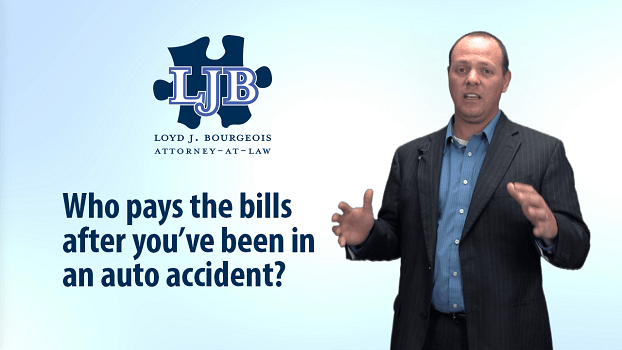 I'm Louisiana injury attorney Loyd Bourgeois. Here to answer a frequently asked question that we get here in our office. "Who pays the medical bills after you've been injured in an auto accident?" Often times, this is the most pressing question we get from clients. They're facing medical treatment and bills. They don't know exactly how to get them paid for. They don't want to have collections calling them. They don't really know what to do. Should I use my health insurance for my Louisiana car accident case? If you’ve been in a car accident in Louisiana, you’ve probably been asked by your health care providers whether you want to use your health insurance for your bills. (Or perhaps a health care provider has refused to take your health insurance “because your treatment was due to an accident.”) If you are lucky enough to have health insurance through your employer or through your spouse, you should absolutely use your health insurance to pay for your medical treatment and medical bills. Now at the end of the day, they may have a claim against any recovery you get. But in the short term, it is best to get the treatment that you need for your injuries through your medical insurance provider. Now you may ask, "Why? I thought the other party was responsible for paying for my medical bills." And, you would be right. Why does my health insurance have to get involved if the accident was someone else’s fault? The other party or insurance company will not pay for your medical bills as you incur them. They will basically wait until the case is fully resolved. Whether that be through a settlement or a judgment, to pay all the medical bills at one time, in one lump sum along with paying you for any pain and suffering. So, you may have to go years without any recovery from the other responsible party. During that time you're going to need treatment. So you should use your own insurance company to pay for your medical treatment and bills. That will include Medicare or Medicaid if you have that as well. When does the auto insurance come into play? some people do purchase medical payments or med pay coverage through their own auto insurance, and if you do have that you can submit your bills through them to be reimbursed. Again, it probably won't be on an as you incur them basis right away, but you'll be able to get it reimbursed sooner. But they too may have a claim against any future recovery you may get as a result of your injury. Once you’ve fully recovered (or if you’re approaching the statute of limitations on your case), you will pursue your personal injury action. However, this can be far down the road (Louisiana has a 1-year statute of limitations/prescriptive period for most auto claims and 2 years for your UM coverage). Therefore, early in your case, you should focus on physically recovering and making sure that your bills are being submitted to your health insurance. Once you’ve got a sufficiently solid idea of what your injuries are, you can then pursue money from the defendant’s insurance company. What if the defendant doesn’t have enough insurance to cover my claim? If you’re lucky enough to have been following Loyd J. Bourgeois, LLC prior to your accident, you know we stress the importance of Under-Insured Motorist Coverage (UIM). If a defendant doesn’t have enough insurance, you can make a claim against your own policy. If you’ve bought enough to cover your claim, then you don’t have to worry. My health insurer sent me a letter about my Louisiana accident case. Why do they care? As we said above, you should have your health insurer pay your medical bills. However, in many instances, they have a right to be reimbursed for what they paid on your behalf IF you get money from the accident case. You may be able to negotiate with your health insurer on the amount claimed and paid back to them. What’s more, not all health insurers will ask for reimbursement in all auto cases. But, I hope this answers your question about who pays for your medical bills after your auto accident. 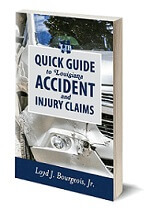 I'm Louisiana personal injury attorney Loyd Bourgeois. I trust you found this answer helpful. If you're looking for help, do not hesitate to give us a call at 985-240-9773. Our team is here to help you fight for the compensation you deserve after an injury. Can You Get SSDI for Anxiety? As a Greater Metairie SSDI lawyer, I am often asked if a person can get social security disability because of an anxiety disorder. The short answer is – yes, but it depends. To determine whether you are disabled by your anxiety disorder, Social Security will first consider whether your condition meets or equals a listing. If so, you are considered disabled and entitled to benefits. If your anxiety disorder, such as phobias, panic attacks, OCD or PTSD, is not severe enough to equal or meet a listing, Social Security will assess your residual functional capacity (RFC) and determine whether you can perform your past relevant work or any other work. This is known as Step 4 and Step 5 of the Sequential Evaluation Process. The listing for anxiety disorders is 12.06. The anxiety disorder must be either your predominant disturbance or experienced if you attempt to master your symptoms – for example, confronting the dreaded object or situation in a phobic disorder or resisting the obsessions or compulsions in obsessive-compulsive disorders. The required level of severity for anxiety disorder is met when the requirements in both A and B are satisfied, or when the requirements in both A and C are satisfied. You must satisfy the requirements of A.
C. Resulting in the complete inability to function independently outside the area of one’s home. Part A requirements are associated with a specific anxiety disorder. A(1) is for a generalized anxiety disorder. A(2) is for phobias. A(3) is for panic disorders. A(4) is for obsessive-compulsive disorder (OCD). A(5) relates to post-traumatic stress disorder (PTSD). You need to have a medically documented finding of one of these disorders to meet the listing. Additionally, treatment by a licensed psychologist is preferred over treatment by only a family practitioner. However, treatment by any medical doctor is better than no treatment at all. DOES YOUR ANXIETY DISORDER PREVENT YOU FROM YOUR PAST WORK OR ANY OTHER WORK? While there is a Listing for Anxiety Disorders that can qualify you for Social Security Disability, most people with anxiety issues do not meet the listing. In these cases, the disability claim is evaluated by determining whether your residual functional capacity allows you to perform your past work and any other work. With an anxiety disorder, your residual functional capacity (RFC) will likely be a Mental RFC. An RFC for mental impairments is expressed in terms of whether you can do skilled, semi-skilled, or unskilled work in spite of impairments, or whether you cannot even do unskilled work. If you have a mental RFC saying you have the ability to perform unskilled work and have no additional physical impairments, you will face an uphill fight to have your claim approved. Some factors can weigh into making your case better. These include no more than a limited education; are close to retirement age; or a lifelong history of unskilled work that you can no longer perform. The reason for the denial is that the Social Security Administration will cite and identify many jobs that require only unskilled work that you can still perform. If you can show that you have a “marked” impairment in any of the abilities required for unskilled work, your SSDI claim has a much greater chance of being approved – even in the absence of any physical impairment. Development of evidence of the above and the associated limitations can be complicated and time-consuming. How do show memory deficit or your lack of decision-making skills? Information from family members about how you behave at home and in social situations can help. Specific work-setting information may be obtained from former supervisors or co-workers if available. Treating physicians may have made observations or have opinions regarding your ability to perform these basic capacities. These two terms are often misunderstood when the care and decision making concerns of children are at stake in a divorce or child custody case. 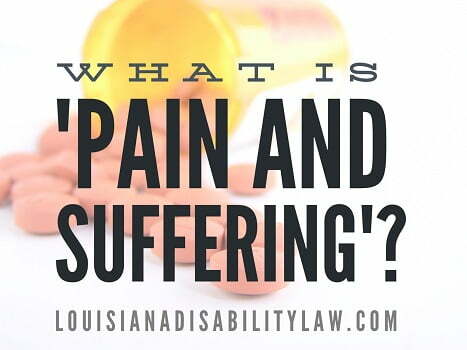 While often used, each has a very specific meaning under Louisiana Law! Sole Custody means one parent has the sole, legal care and decision-making ability for a child. Sole custody is rare and is usually limited to situations where one parent is unfit or incapable of having any form of responsibility for a child -- for example, due to drug addiction or evidence of child abuse. With sole custody, the other parent may have periods of visitation. Joint Custody means both parents share the care and decision-making ability for a child. Joint custody is preferred in Louisiana. Even if one parent has more actual physical custody of a child than the other, the custody is likely joint, with each parent able to exercise parental rights during their periods of custody (not visitation). If you are going through a divorce or have questions about your custody agreement, give us a call at 985-240-9773. What Will Happen to my Social Security Disability if the Government Shuts Down? Many New Orleans-area Social Security Disability claimants and recipients are wondering how a government shutdown affects them and their benefits, application, and/or hearing. The government briefly shut down fully twice in under a month in early 2018. On December 22, 2018, the government entered a partial government shutdown after President Trump would not sign the temporary spending bill passed by Congress. This shut down is only a partial shut down due to the fact that some departments have already been funded through September 2019. The Department of Health and Human Services which includes Social Security was included in this previous spending bill, and therefore would not be affected for this partial shutdown. WILL I STILL RECEIVE MY SOCIAL SECURITY DISABILITY BENEFITS IN A GOVERNMENT SHUTDOWN? When the government shut down in 1995 and again in 2013, all Social Security payments continued to be sent out on time. This included Social Security Disability. During the 1995 shutdown, which lasted about a month, the Social Security Administration mailed checks throughout the shutdown. Social Security was able to continue mailing benefits due to the fact that doesn’t need Congress to authorize funds for it each year. 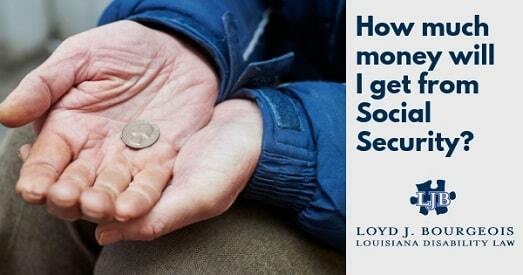 Instead, Social Security benefits are considered mandatory spending and are paid from the program’s trust fund, and therefore, the agency has the funds to continue paying benefits. In 1995, Social Security maintained enough employees to continue mailing checks without delay. Since payments are now direct deposited and/or loaded onto debit cards, Social Security continued processing payments during the 2013 shut down with fewer employees than were needed to mail benefit checks during the 1995 shutdowns. Most likely, hearing offices will continue to hold Social Security Disability and SSI hearings if a shutdown occurs. During the 2013 government shutdown, the Office of Disability Adjudication and Review (ODAR) still held previously scheduled hearings, but staffing was limited to Administrative Law Judges (ALJs), medical experts, vocational experts, and security personnel. New hearings were not scheduled. Lack of support personnel caused delays in exhibiting files and decisions were not written during the shutdown. So, if a claimant was waiting for an already scheduled hearing, it in most cases proceeded and was decided. But, the writing of the decision did not take place, so if benefits were granted, there was a further delay before benefits were paid since the decision was not actually formally written until the shutdown ended. During the Clinton-era shutdown, new Social Security claims were not being processed because the agency furloughed 61,415 employees. As the shutdown wore on, the agency adjusted its plan and recalled workers to start processing new claims. Whether new claims are processed at all or with a delay due to fewer workers will depend on how many employees the SSA decides to maintain and how many they decide to furlough. Whenever a threat of a shutdown looms, I monitor the situation checking Social Security's contingency plan often. If the government shuts down again, I will be in touch with all of my current clients to advise them on how this situation will affect them depending upon the current status of their claim. Can a Partially Favorable ALJ decision be appealed? Can you lose your benefits? Many Social Security Disability applicants in the New Orleans area and beyond are confused when they receive a partially favorable decision. Two common questions I hear are “Can I appeal a Partially Favorable decision by an ALJ?” and “If I appeal the decision, can I lose my awarded benefits?”. A partially favorable decision occurs when the Administrative Law Judge (ALJ) has granted you disability benefits, but not the full amount you requested. In the majority of partially favorable decisions, the ALJ finds that you are disabled, but moves your onset date to a later date than the one that you claimed. Moving the onset date can severely affect your back pay and your future monthly benefits. You lose out on the back pay for the months between your alleged onset date and the ALJ’s revised onset date. This could amount to a large sum of money. Additionally, if your onset is moved to a date beyond your date last insured, you may miss out on disability benefits altogether and be forced to accept only supplemental security benefits. The revised onset date may also reduce your monthly benefit. CAN I APPEAL A PARTIALLY FAVORABLE SOCIAL SECURITY DISABILITY DECISION BY AN ALJ? Yes. You have the right to appeal this decision to the Appeals Council. But there are risks. IF I APPEAL A PARTIALLY FAVORABLE DISABILITY DECISION, CAN I LOSE MY AWARDED BENEFITS? The AC will review the entire claim and determine if the proper decision was made. This means they will review the onset date and the disability determination. So, while the AC may agree with you that an earlier onset is appropriate, the AC could also disagree with the judge and find that the record does not support disability at all. 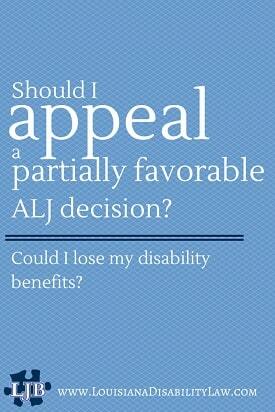 IF I APPEAL A PARTIALLY FAVORABLE DISABILITY DECISION, WILL I RECEIVE MY AWARDED BENEFITS DURING THE APPEAL PROCESS? No. You will not receive any benefits while awaiting the result of your appeal. SHOULD I APPEAL A PARTIALLY FAVORABLE DECISION? If you are considering appealing a partially favorable decision, you should consult with a Social Security Disability attorney to discuss the pros and cons of an appeal in regard to the specifics of your case. 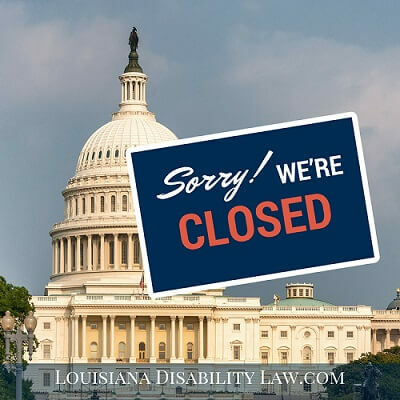 If you have questions about your application or appeal, call New Orleans area disability lawyer, Loyd Bourgeois at 888-LJB-4-SSD or submit an online case evaluation and we will get back to you within one business day. 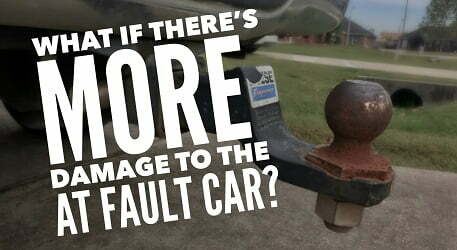 What if there is much more damage to the vehicle that caused the accident than to your own car? How can that affect your case? Some jurors in accident cases believe in the myth that property damage equals injury. This means that jurors likely will believe that unless your vehicle sustained substantial property damage, you were not injured. Ironically, this commonly-held belief is refuted entirely by the body of medical and scientific evidence that has been developed over years regarding accidents and injuries. For example, in a rear-end collision where a car “rear ends” a truck that has a trailer hitch, often most of the property damage will be on the car that rear-ended the truck. This is why it is so important in these types of cases that your attorney promptly hires an expert to examine your vehicle to collect evidence that can be used to explain to the jury why one car has much more property damage the other. Our firm is working on a case where there was significant property damage to the car that rear-ended our client’s truck. However, the truck has minimal property damage because the car rear-ended our client’s truck right on the trailer hitch. The trailer hitch is attached directly to the frame of the vehicle so damage was far less to the truck than to the car who struck the truck. The fact that the at-fault car had more damage than the truck does not mean that the at-fault party doesn't owe my client for his personal injury or for the property damage to his truck. It is important in these cases to retain an experienced River Parishes Personal Injury attorney that can retain the right experts to help prove your claim and counter the jury's bias. If you were injured in an accident where the other car received more damage than yours, give us a call at 985-240-9773 to discuss your specific situation. Or you can use our contact form and someone from our office will be in touch with you shortly. 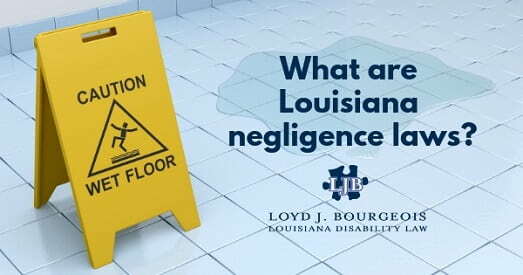 What are Louisiana Negligence Laws? Negligence simply means failing to take proper care. Louisiana negligence laws are there to protect you, your family, and your property from the carelessness of others. These laws hold the responsible party accountable when they fail to take proper care – like texting while driving, running a red light, speeding through a stop sign, etc. In this day and age, medical and repair bills get very expensive very quickly. Louisiana law sets a system in place that allows you to get the compensation you deserve from the offending party. In Louisiana negligence laws, negligence is defined as the failure of one person or entity to exercise appropriate care. 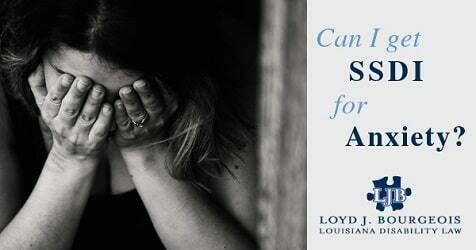 If someone’s indifference has harmed you, then you may have grounds for a Louisiana personal injury lawsuit. Louisiana’s negligence law comes from the Louisiana Civil Code article 2315. Negligence includes the concept of duty. Duty is the care that someone or something is obliged to show to others. For instance, a driver has a duty to maintain a safe speed in light of circumstances to other drivers on the road. If a breach of duty (or failure to fulfill a duty) happens, and the breach results in you getting hurt, Louisiana negligence laws were likely violated. Louisiana negligence cases also involve other elements such as proximate cause. This element looks at whether the actual act of negligence caused the damage complained of – or whether something else caused it. In negligence cases, you must also prove your damages. Damages are either special or general. Special damages include medical expenses, quantifiable financial losses (lost wages, benefits, etc. ), and other quantifiable expenses. General damages compensate you for pain and suffering. They are not easily quantifiable and are up to the discretion of the court or jury. Louisiana is a comparative negligence state. This means either the judge or the jury will determine the amount of fault for each party, and that you do not have to have zero fault to recover damages. John is visiting his mother in the hospital. While walking to her room, he slips on an unmarked wet surface and injures himself. The hospital had a duty to alert visitors about the slippery floor and failed to do so. As such, it is likely that the hospital is 100% at fault, and has to pay John’s full damages. However, suppose that Mary slipped on the same floor, but she was running recklessly just prior to her fall. Under comparative negligence, the court may decide that Mary has some responsibility for her careless behavior. Let’s say the court decides Mary is 30% to blame. This will affect the amount paid in compensation. Mary cannot recover all of her damages. She can only recover 70% of the compensation, as the hospital was only 70% at fault. After a serious accident, while you are dealing with injuries, medical bills, car repairs and insurance companies, you need someone working on your side while you focus on getting better. Need to talk to someone about your claim? An experienced Louisiana personal injury attorney will help you understand your legal rights and options, and if necessary, help you file a personal injury lawsuit to help you recover compensation for your losses. 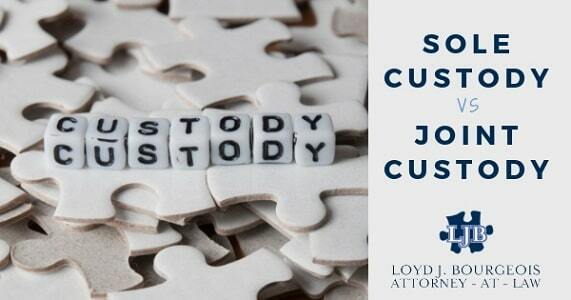 Contact Loyd Bourgeois today for help with your disabling injury. The call is free and there is no obligation - (985)240-9773. How much money will I get from Social Security for my disability? When I meet with potential clients, one of the questions I am often asked is – How much I am going to get from Social Security for my disability? Most clients need to know what their Social Security benefit amount will be. Here’s my lawyer answer - It depends. Are you eligible for SSDI or SSI? If SSDI, how much did you earn and pay in taxes? If SSDI, do you have dependent children? If SSI, do you have any other income? If SSI, are you receiving room and board for free from family or friends? How much money will I get from SSDI for my disability? For SSDI, benefit amounts are calculated according to a formula that uses your complete earnings record. The formula allows for yearly increases in the individual benefits in order to reflect adjustments in the cost of living. The amount of your benefit will be based on your average earnings for all of the years you have been working, not just your most recent salary. You can see how much you are likely to receive if you are found disabled by looking on your MySSA account. This is a good rough idea of your monthly benefit amount. However, there is a 5 month waiting period for disability benefits. Essentially SSA will not pay you for the first five months you were disabled. This account will also tell you how much your eligible dependents can receive as well. However, if your date of disability was in the past, the account will not tell you precisely. SSDI can be paid for up to 12-months prior to the date of the application if you are found disabled during that time. For example, you apply on March 1, 2018, but say you became disabled on January 1, 2013. If SSA agrees that you became disabled on January 1, 2013, you will only be able to get benefits from March 1, 2017, to the date of the decision. In the same way, if you applied on March 1, 2018, saying you became disabled on January 1, 2018, and SSA agreed, you would get benefits starting on June 1, 2018 (remember – SSA does not pay for the first five months of disability). Depending upon when the judge determines that you became disabled, you may also be entitled to a lump sum back benefit payment. How much money will I get from SSI for my disability? For SSI, the Social Security benefit amount in 2017 for an eligible individual is $735 per month and $1,103 per month for an eligible couple. This amount is the maximum you can receive. This amount can be reduced based on your specific circumstances. You can only get SSI benefits from the date of the application forward. For example, you apply on March 1, 2018, but say you became disabled on January 1, 2013. If SSA agrees that you became disabled on January 1, 2013, you will only be able to get benefits from March 1, 2018, which is the date you applied. There is no five-month hold back for SSI benefits.